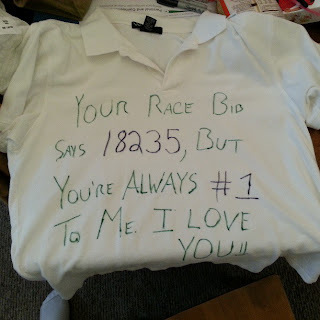 I didn’t get excited for the Derby Half until I got the email with my bib number, than I was feeling the excitement, nervousness and anxiety that comes with a person’s first Half Marathon! Race morning arrives and I get up and get all my gear ready, kiss my beautiful angels goodbye, they wish me luck and Corey and I head out. We got there about an hour and half early (I think Corey wanted to make sure I had enough time to calm my nerves) which it worked. By the time the race started I was feeling good and was just focused on the task at hand. Since this race was solo, I did listen to music and had a playlist of Pink's’ albums playing! 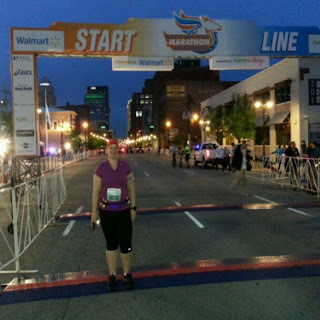 Mile one was FAST…my fasted ever and I felt great. By mile two I told myself to keep pace and relax. I did. The next few miles flew by and I was enjoying every single second of being on the course! 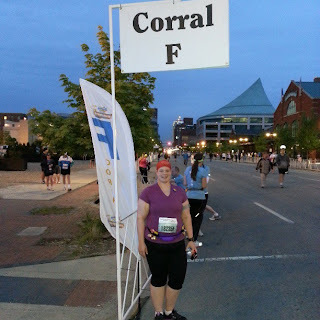 At about mile 8 I realized that I was going to do this thing! I finally accepted that fact that I was going to complete what many told me I would not be able too! That gave me a little push. 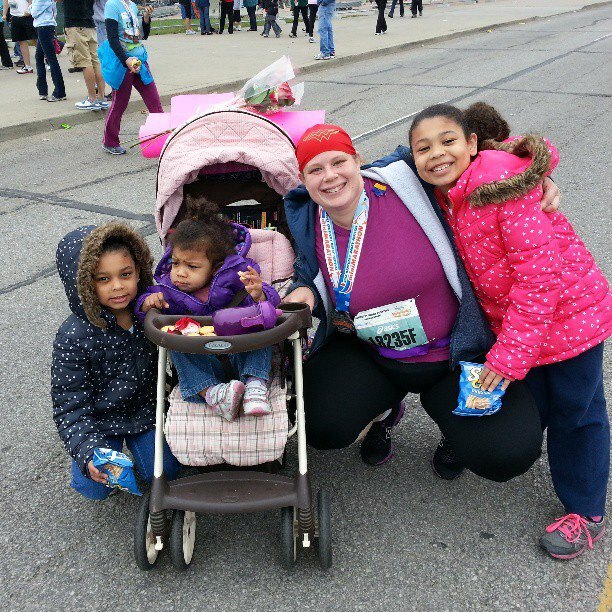 At the end of mile 9 I was feeling tired….but Pink's Try came up and I was refreshed and ready to conquer the rest. At about mile 11.50 I texted Corey and told him that I was hurting…and I was…my legs…feet…hips…fingers…everything just hurt! Doubt started to creep into my head, but than a powerful voice took over and said “you are doing so well hon, you are doing great, and you got this” (these are the things Corey says to me when we run together) and I powered through! 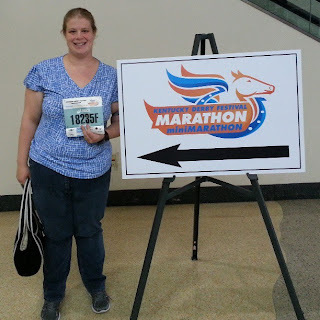 For mile 11.5-13…I did more walking than I wanted too but I make sure that I ran the whole tenth of a mile to the finish! My legs were cramping during that run and I just kept thinking “please don’t fall, please don’t fall”. I saw Corey and the girls and their smiles just warmed my heart and I think that was a better feeling than crossing the finish line…seeing that I have made them so proud! I crossed the finish line and made my way through to get the post race food and took a picture with my medal…that is when it hit me…DAMARY YOU JUST COMPLETED A HALF MARATHON!!! Some thoughts that crossed my mind: All those times someone called you fat, or the person that said you haven’t accomplished anything in your life, or the times people say you would be thin when pigs fly, or the times that people said I wasn’t training enough or that I was training too much…you just proved them all wrong…because YOU and no one else DID this!! I felt amazing at that point, meet up with Corey and girls, received the best hugs and kisses a woman could ask for and just enjoyed the rest of the weekend. I once was the person that said “I would never do a Half Marathon” and here I am with 1 down, another one registered and already saying I want to do this one again next year. I still have a long way to go to reach my goals but I have also come a hell of long way in my goals. 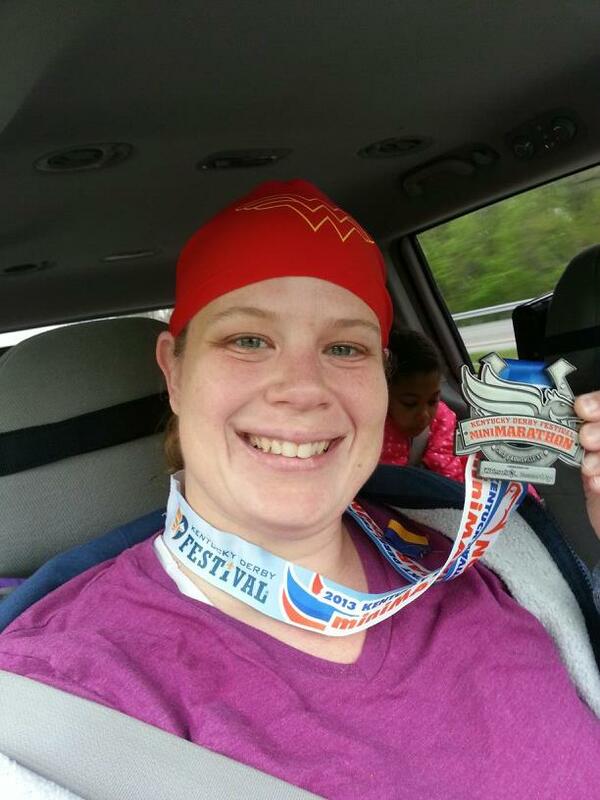 I just walk/run 13.1 miles when many (including myself) didn’t think it was possible. Love it!!! & you are so right - YOU did it! 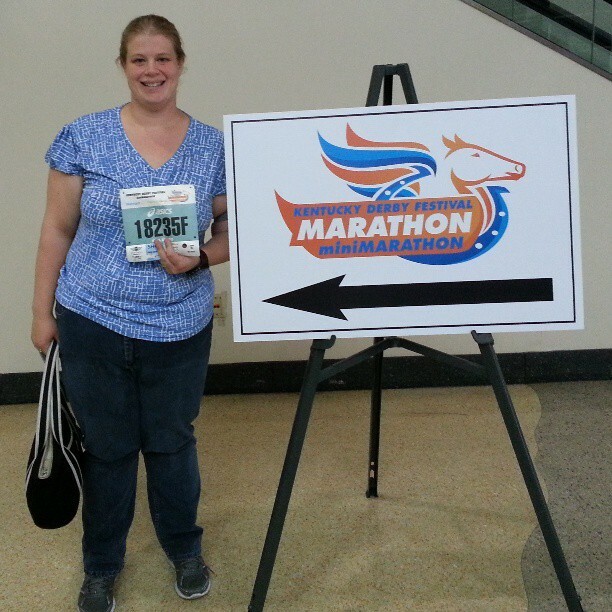 No matter what anyone says, from here on out, You are a half-marathoner!!!! I am so unbelievably proud of you! Between following your husbands amazing journey and now yours as well...I can truly say I am happy for you, and proud of you! I knew that you could do it (despite those little voices), you have a wonderful support team and that is one of the best things that you can have! Congrats on a first half, I know you will only get better and stronger! And getting a smaller shirt at the expo was a good thing, because you're going to need it!!!! :) Keep up the hard work!